W.H. Bagshaw Company, the oldest pin maker in the nation, has come a long way since the 1870s, when it made pin combs, and the 1930s, when it produced phonograph needles. The “pins” now are used in aerospace and medical applications, and the company employs 41, twice the number it did a decade ago. The Nashua-based manufacturer would like to expand even more, but it’s slowed by two threats to the state’s booming economy, one old, one new. Low unemployment, usually a blessing, has become a curse, threatening the supply of labor. And the effects of a gathering trade war are just starting to be felt. Indeed, there is a possibility that the company might have to temporarily shut down “because we don’t have the wire. You have your machine ready and your staff ready and you don’t have the material,” said Bagshaw. But for others, the effect of the tariffs right now seem like distant flashes of lightning that may not ever strike. But the labor shortage is more of a structural problem, said Annette Nielsen, an economist with the NH Economic and Labor Market Information Bureau. For instance, last year, the state’s gross domestic product grew by 1.9 percent, in the middle of the pack among the 50 states. Despite this, the state added nearly 13,000 jobs in the last year in non-farm employment. But Gottlob can’t figure out where these workers are coming from. Are they from out of state, or are they local residents who would have gone out of state? The shortage is particularly acute in manufacturing, forcing the existing workforce into overtime. 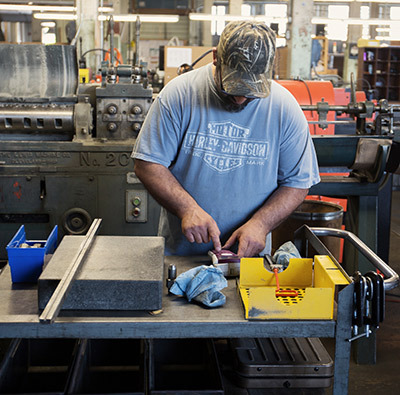 Factory workers are averaging 41.7 hours a week, up from 40 hours just a year ago. A manufacturing job isn’t what it used to be. Employees need to take courses in such things as physics and calculus in order to qualified, but students with that kind of aptitude are generally college-bound. Organizations like the NH Manufacturing Extension Partnership have tried to prime the vocational pump. Manufacturing Week, for instance, has become Manufacturing Month, and NHMEP has arranged some 1,865 visits from schools to manufacturing plants to show students how things have changed and the kind of jobs that are available. Bagshaw looks for its workers in community college, as does Tidland Corp., a Keene division of Maxcess International, which makes accessory products for winding machines to better roll out various materials. The division has 65 employees to ship out some $20 million in products. It could use five more, said Victor Kissell, senior manufacturing supervisor. Statistically, there has been little impact on trade thus far. Nationally, exports were up 8 percent in the first quarter, a little higher than last year. New Hampshire exports only went up 2.35 percent, the 10th lowest increase in the country, but it did increase 24 percent in 2017, the third-highest increase among states. What might be telling is the state’s trading partners. Exports to China, traditionally one of New Hampshire’s top three markets, dropped by nearly 40 percent year to date, and exports to Japan fell off by 63 percent. Shipments to Mexico — another target of the current administration’s rhetoric — were also off slightly. Exports to the No. 1 market, Canada, were more robust, topping 14 percent, but that was before Trump insulted the country’s prime minister and outraged Canadians, who started boycotting American products and canceling visits. There was a surge of exports to Germany (up 73 percent) and Ireland (up 128 percent), that so far occupy the second and third positions. The state’s wood industry has been benefiting from the tariff situation, even though China is now stricter about accepting U.S. logs, citing concerns about insect infestation. Jasen Stock, executive director of the NH Timberland Owners Association, thinks the timing is suspicious. “There is no evidence that it is related [to tariff disputes], but it sure seems that way,” said Stock. That hasn’t hurt loggers, who still have lots of domestic markets, but local sawmills are happy to take the logs China rejects. Similarly, U.S.-imposed tariffs have stifled wood coming in from Canada, but that has meant more of a market for local loggers, which is more than enough to keep sawmills busy. But the labor shortage is everywhere, stressed Stock. “It’s a crisis. It is definitely a crisis,” said Priscilla Lane-Rondeau, owner of three 900 Degrees restaurants, who needs about 35 to staff her newest eatery, which opened in Portsmouth in May. By early June, she had only succeeded in hiring 21. “We’ve got our managers working overtime,” she said. It is daunting to open up a new establishment in the hospitality industry on the Seacoast, where there is intense competition not only over customers but over workers. Frankly, though, that is true pretty much everywhere in New Hampshire. The state is expecting a deluge of visitors this summer. The NH Division of Travel and Tourism is predicting a record 3.4 million tourists spending $1.8 billion overall. Occupancy at hotels was already up in the first quarter — 53.6 percent, year to date, a percentage point better than last year, even though ski area visits were down about 5 percent. “Business is very brisk, better than last year. People are not spending more, but they are dining out more,” said Tom Boucher, president of Bedford-based Great American Restaurants. His main complaint is finding labor. “We are paying them for gas. We are paying a hiring bonus at the end of the summer. In Laconia, we are really feeling the pain,” he said, and restaurants on the border have to compete with the higher wages offered in Massachusetts. Overall, nonfarm hourly wages are up by 60 cents, but since hours decreased slightly, that translates to an $8 weekly increase, to $1,010.32 a week. The opposite trend is true for manufacturing workers. Their hourly pay went down a little, to $25.23 an hour. That was more than offset by the aforementioned increase in hours, giving workers a $34 weekly raise to $1052. Why wages have not increased more in this tight labor market is “a bit of a puzzle,” said Nielsen, though she theorizes it also might be related to demographics. As highly paid older workers retire, they are replaced by entry-level workers, creating a statistical drag on overall wages. And there are other ways of attracting workers than by wage. The tech industry has been using such techniques for a while, but they felt they needed something more when the Advanced Regenerative Manufacturing Institute (ARMI) set up shop in Manchester — an approximately $80 million defense grant to foster companies that can grow back organs from a person’s DNA. ARMI and companies associated with it lobbied for and won state business tax incentives and a fund to help pay off student loans for workers in the industry. 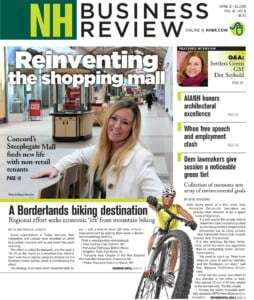 While ARMI and biotechnology were the big story in New Hampshire tech this year, Matt Cookson, the outgoing executive director of the NH High Tech Council, rattled off a number of other hot industries: drones, robotics and artificial intelligence. The growing diversity has also caused the council to diversify, uniting with Alpha Loft to form the NH Tech Alliance, which would bring in educational institutions to create “ecosystem engagement,” in the words of Toral Cowieson, chair of the emerging organization. One example of engagement is through matching the skill required by employers with those of graduates. “Universities are not necessarily delivering the skills that are needed,” she said. Labor isn’t the only thing in short supply in New Hampshire. The housing shortage is also acute. Home sales fell in May by 8 percent due to lack of inventory. The state had only 5,130 homes on the market in May, a 20 percent decrease from last year, or about 3.4 months of supply, down from a 4.4-month supply a year ago. Those listing a home in May were likely to have sold it in 65 days (as opposed to 70 last year) at a median price of $283,000 ($12,500 more than last year), which was about 98.7 percent of what they asked for. An average of 408 housing permits were issued this spring, compared to an average of 128 in 2009. But it is not nearly enough to keep up with demand. The same could be said about rentals. The vacancy rate for a two-bedroom apartment is down to 1.4 percent, compared to 5 percent a decade ago, with a median gross rent of $1,259, double what it was two decades ago.